School to Employment Program | Community Options, Inc.
For youth with disabilities who want to be gainfully employed, it is critical they receive services that ensure they are adequately prepared to adapt to the competitive workplace environment. To meet his need, Community Options provides the School to Employment Program (STEP) for these youth and their families in New Jersey. STEP’s highly trained employment specialists and job coaches work side-by-side with junior and senior year high school students, their families, and their Individual Education Plan team to assess the student’s strengths, preferences, and interests. Using these assessments, STEP develops unpaid internship opportunities for students at local job sites from our network of participating businesses, which include hospitals, restaurants, and retail stores. Designed to integrate smoothly into the students’ academic programming, students can take core classes for a half day and then participate in two or more hours of hands-on skill building employment training at the job site. Students work at each site for six weeks until rotating to a new experience, providing them with a wide range of tangible work skills and valuable work experiences. STEP also provides free transportation, summer programs, and post-graduation job placement assistance. The STEP team use best practices and technology to train students on how to acquire the physical, intellectual, emotional and social skills needed to effectively and efficiently transition from high school to independent adult life. In addition to integrated community-based instruction, students also participate in job clubs that highlight various topics such as: Writing a Resume and Cover Letter, Interviewing Skills, and Effective Communication Skills. Community Options has been operating STEP in NJ for over eight years and continues to have high success rates. 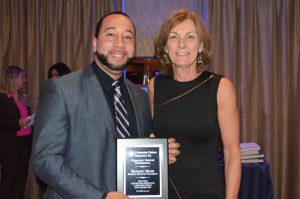 Of the fifteen students who were part of the 2015-2016 program in New Jersey, over half have advanced forward in their careers. STEP has received praise for its low student-to-job coach ratio and staffing structure. Each student receives an individualized experience tailored to their specialized needs, while job coaches are still able to supervise multiple students in different rotations at the same location. STEP is 100% community-based, without a waiting list. STEP currently serves schools in Allentown, Hamilton, Lawrence, Manalapan, Metuchen, Millstone, Robbinsville, and West Windsor-Plainsboro. For the parent or caregiver, STEP also provides assistance in navigating the vocational services network and guidance through the complicated postsecondary funding process. Empowered with the right knowledge and resources, families can take comfort knowing they’re meeting all of their child’s transition needs. PRINCETON, NJ – At last week’s New Jersey Staff Appreciation dinner, Community Options recognized three local businesses that have played an integral role in their mission; providing employment support to individuals with intellectual and developmental disabilities. 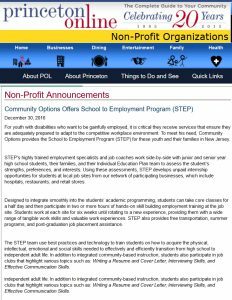 Community Options’ School to Employment Program (STEP) is proud to partner with DeLorenzo’s Pizza in Hamilton, NJ, University Medical Center Princeton at Plainsboro and Walgreens of Haledon, NJ. STEP is a job training/transition program for high school students and young adults with special needs. STEP provides students with real world, hands-on training through a unique opportunity to explore a number of different career paths. 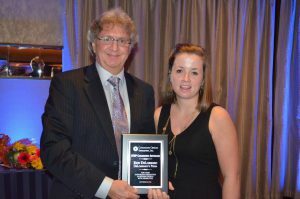 “Our relationship with these community partners gives our individuals the opportunity to be integrated into the community and obtain job experience in all different types of setting to prepare them for future integrated and meaningful employment,” said Community Options’ Director of STEP, Meghan Hunter. DeLorenzo’s Pizza is a job sampling site for Community Options’ STEP students. Having just started in September, it has been a successful experience thus far. University Medical Center Princeton at Plainsboro (UMCPP) has been a long-time partner for STEP in Mercer County. STEP participants are integrated into the hospitals volunteer program, and job sample in nine different departments supported by a job coach. Walgreens, a partner since 2014, has provided the opportunity for one of COI’s supported employment individuals to participate in their REDI internship program. With the full support of Walgreens GM Richard Miles and his staff, this person successfully completed this internship and then applied for and was hired for a position in the store. With recent STEP program expansion into the northern part of the state, Mr. Miles has provided his store for participants to learn retail skills. COI now has one of these participants moving into the REDI program, which is a very structured training and assessment program that Walgreens developed as a retail employees with disabilities initiative. STEP Participant Brian V. threw out the ceremonial first pitch at the game. PRINCETON, NJ — Community Options Inc.’s School to Employment Program (STEP) of Mercer County, NJ hosted its annual Trenton Thunder night for the third year in a row on Thursday, August 18 at Arm & Hammer Park in Trenton, NJ. The funds raised from the game will help further enhance the STEP program. STEP is a job training program for young adults with developmental disabilities, who are transitioning from school to the workforce. Community Options provides unpaid internships for the participants, where they work side by side with a highly trained job coach who trains them in the necessary skills to eventually maintain competitive and meaningful employment in the local community. STEP has successfully mitigated the risks associated with the underemployment of people with disabilities by consistently preparing, training, and placing participating participants in meaningful jobs. 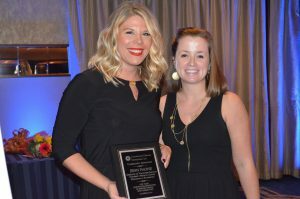 “Teaming up with Trenton Thunder for the past 3 years has given the STEP family the opportunity to come together for a fun night to celebrate the accomplishments of our participants and the tireless efforts of our supportive staff,” said STEP Director Meghan Hunter. 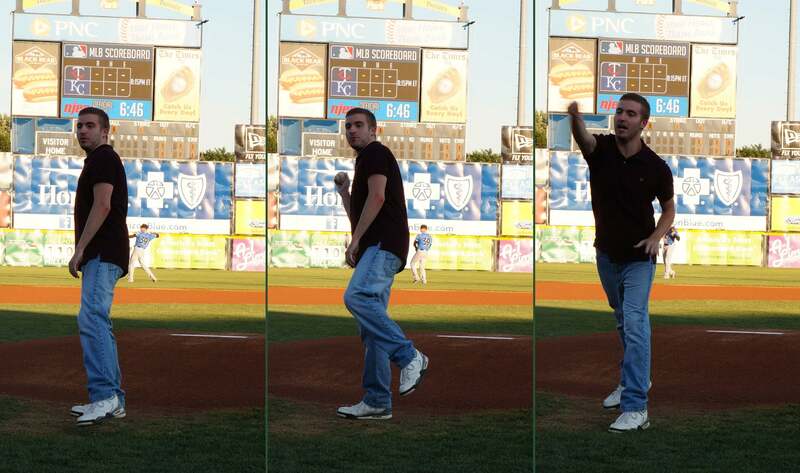 STEP Participant Brian V. threw out the ceremonial first pitch at the game. The 24-year-old has volunteered with the STEP Program for the past three years. He loves working at the University Medical Center of Princeton at Plainsboro. Brian loves rollerblading, swimming, airplanes and sports. 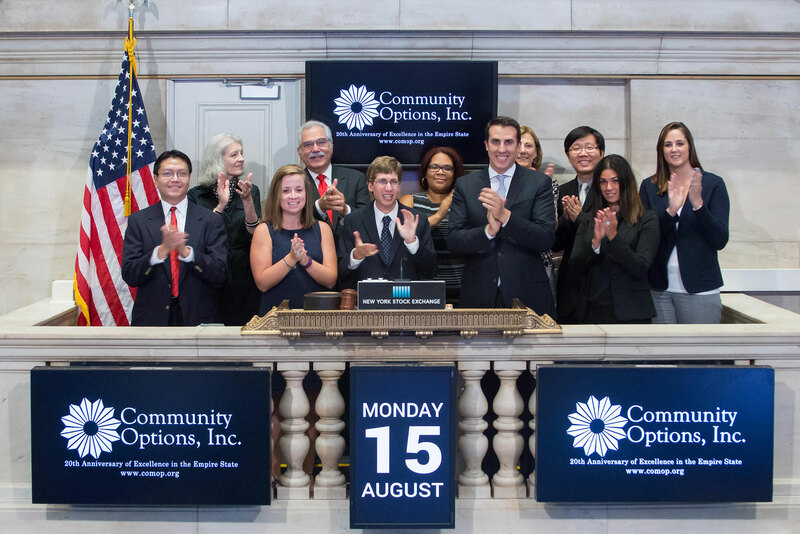 On August 15, 2016, Community Options, rang the Closing Bell at the New York Stock Exchange. Read more here. 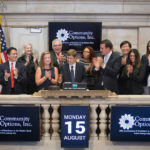 PRINCETON, NJ – National nonprofit Community Options, Inc. rang the Closing Bell at the New York Stock Exchange on Monday, August 15. Community Options is based in Princeton, NJ and provides housing and employment support to thousands of individuals with intellectual and developmental disabilities across the nation. STEP is a community Options program. STEP is a job-training program for young adults with developmental disabilities, who are transitioning from school to the workforce. STEP has successfully mitigated the risks associated with the underemployment of people with disabilities by consistently preparing, training, and placing participating participants in meaningful jobs. Max currently works two days a week at his paid job at Experienced Support Coordination as an office clerk and continues to attend the STEP program three days per week. The 24-year-old is hoping to lock down a five day a week paid job in the near future. 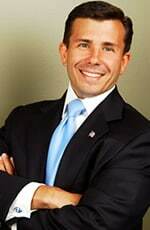 Max started in STEP as a high school student from West Windsor Plainsboro High School North. Community Options Enterprises Managing Director Dina Casalaspro, Grant Writer Cherry Watson, Regional Director Katie Valle, Community Options Enterprises Managing Director Andrew Park, STEP Director Meghan Hunter, Employment Specialist Donna Orr, Program Manager Caroline Garcia and Community Options Enterprises board member Philip Lian and his wife Joan Mueller were also on hand to represent Community Options as well. Community Options is celebrating its 20th year of service in the state of New York and will hold a fundraising Gala on Thursday, October 6 to honor the milestone. The Gala will take place at Pier 61 of The Lighthouse at Chelsea Piers at 6 p.m. The festivities will include cocktails, dinner and a silent auction. The Lighthouse at Chelsea Piers is located at 23rd Street and West Side Highway in New York City. For more information or to purchase tickets, visit http://www.501auctions.com/nycgala2016. 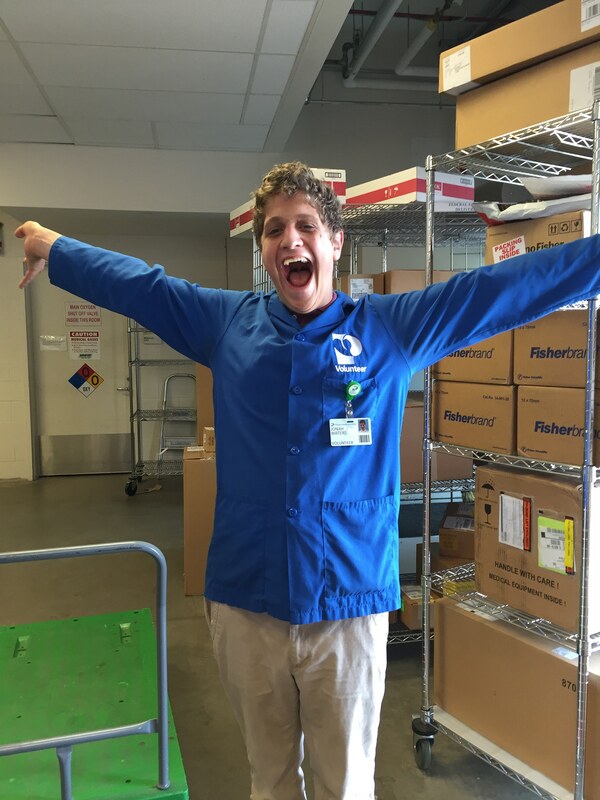 Diagnosed with Fragile X syndrome as a boy, Jonah, above, is now 21 and reaching the maximum of his abilities through Community Options’ School to Employment Program (STEP), which assists young adults with disabilities planning for their futures in the workforce. When Laura and Dennis Waters of Lawrence Township received the news that their son, Jonah, was diagnosed with Fragile X syndrome, they were devastated. Fragile X is a genetic disease that often manifested in severe intellectual abilities, especially in boys. Although Jonah’s future seemed bleak, Laura and Dennis never wavered in their commitment to provide Jonah with the best medical care and social support. Now 21, Jonah is reaching the maximum of his abilities thanks in large part to his involvement in Community Options’ School To Employment Program (STEP), which helps young adults with disabilities plan for their futures in the workforce. STEP begins at the end of a qualifying candidate’s junior year in high school. Community Options staff works with the student, family members, and child study team to identify different types of employment opportunities that may be a good personal and professional match for the student. This often is the best way for students with disabilities to enter the workforce while also assessing preferences and aptitudes. In the case of Jonah, Meghan Hunter, STEP regional director, and her staff explored potential employment opportunities within the local community. They met with employers at hospitals, retail stores, pharmaceutical companies, law firms, shelters and supermarkets where Jonah could enhance his job skills and prepare for future employment. After much searching, Jonah was placed at University Medical Center of Princeton at Plainsboro (UMCPP). 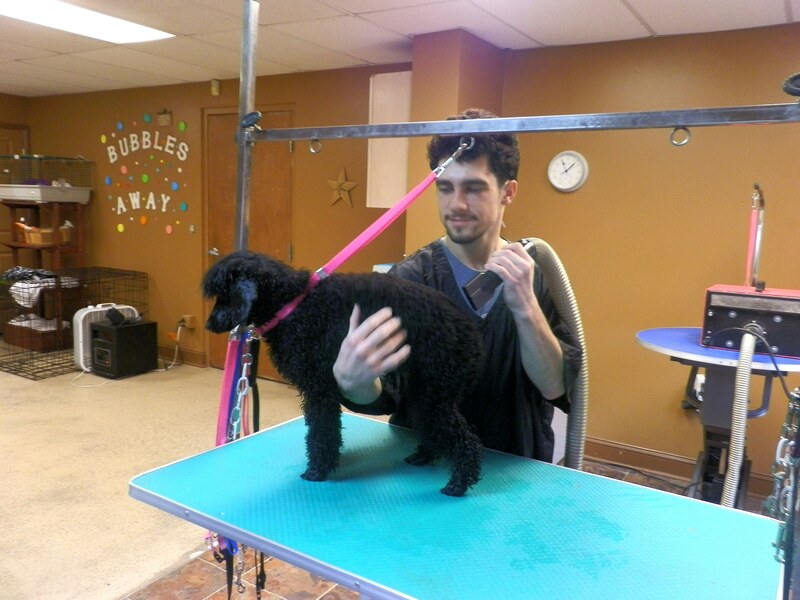 ‘In the last three years, STEP has been preparing me for a job,’ says Alex B., above, a STEP participant shown grooming a dog. ‘STEP has helped me in putting a resume together that lists the many jobs I have done. It’s given me an opportunity to help out and work with other people. Laura and Dennis couldn’t be happier with Jonah’s progress. “We’ve been particularly impressed with STEP’s ability to differentiate needs among the students and craft job placements where they can learn and succeed,” Laura said. “We both feel that this opportunity is a weight lifted off both Jonah and ourselves,” Dennis said. By working together with individuals like Jonah, his family, school educators, and employers, the STEP team can find the proper job match that helps young adults with disabilities develop skills and become productive in their vocations. For more than 25 years, Community Options has developed housing and employment programs for people with disabilities — serving thousands of people through 38 offices across 10 states. Community Options provides advocacy assistance to empower people with disabilities because all people — regardless of ability level — should live and work in the community with dignity, choice and self-determination. For more information, visit comop.org or call (609) 951-9900.
comop.org/about-us/careers. Interested individuals can fill out an employment application online. All offers are contingent on a successful background check. Community Options is an equal opportunity employer. PRINCETON, NJ – When Laura and Dennis Waters of Lawrence Township received the news that their son, Jonah, was diagnosed with Fragile X syndrome, they were devastated. Fragile X was a genetic disease that often manifested in severe intellectual abilities, especially in boys. Although Jonah’s future seemed bleak, Laura and Dennis never wavered in their commitment to provide Jonah with the best medical care and social support. Now 21, Jonah is reaching the maximum of his abilities thanks in large part to his involvement in Community Options, Inc. School To Employment Program (STEP) which helps young adults with disabilities plan for their futures in the work force. In the case of Jonah, STEP Regional Director Meghan Hunter and her staff explored potential employment opportunities within the local community. They met with employers at hospitals, retail stores, pharmaceutical companies, law firms, shelters and supermarkets where Jonah’s could enhance his job skills and prepare for future employment. After much searching, Jonah was placed in University Medical Center of Princeton at Plainsboro.